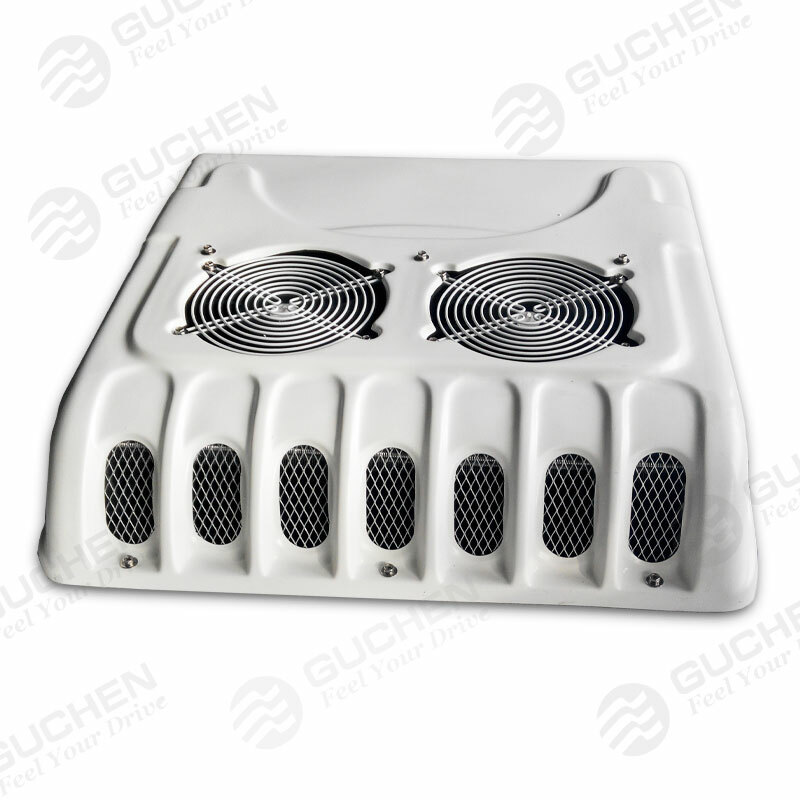 ● Extremely compact design with high cooling performance to 5.2 KW. ● Compact structure, space saving, and superiority in cost-effectiveness. ● Manual and automatic control mode, easy to operate. 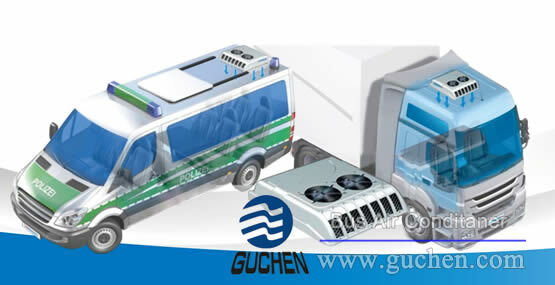 ● Major used for cooling small spaces or cabins (such as loading area in ambulances). ● High strength base frame with robust metal, high reliability and ultra-low maintenance. 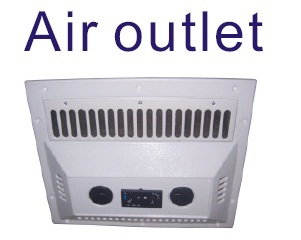 ● Available with fresh air and heating option. 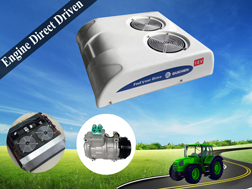 ● High quality 5H14 truck A/C compressor, with its own original electromagnetic clutch. 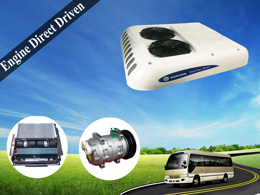 ● High-performance truck air conditioner, with ISO9000:2008 & CE Certificate! 1. 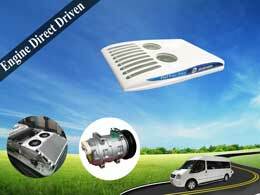 Due to the robust structure and the use of latest technologies, GC-04 air conditioning for truck cabins fulfill all common quality requirements of the vehicle manufacturer and correspond to the current EU directives. 2. 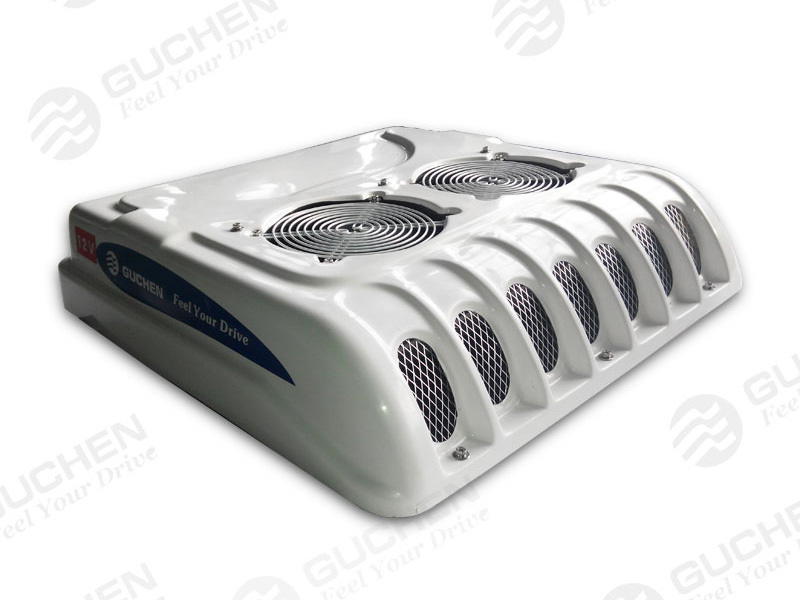 GC-04 rooftop mounted air conditioner for truck cab is the specialized cooling equipment special for heavy duty truck cabins, mini bus, van, special vehicle cab. 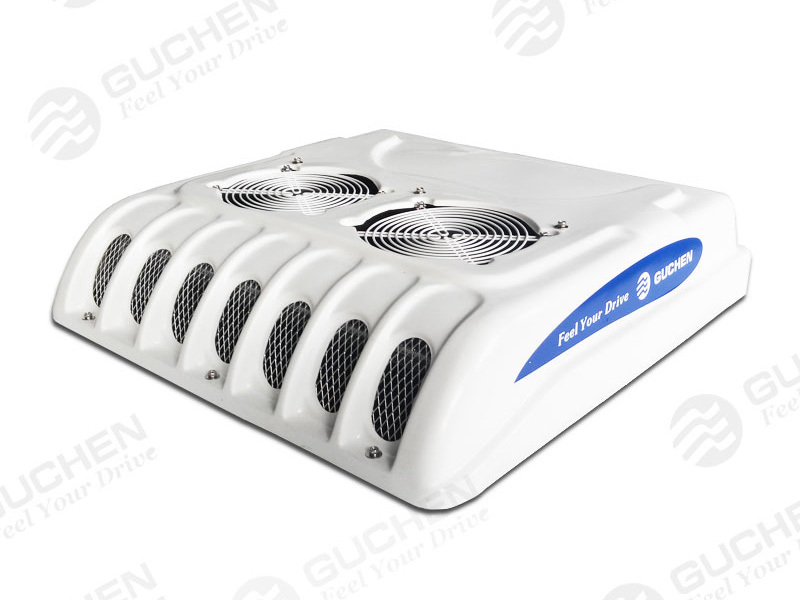 GC -04 Air conditioning for truck and vehicle cabins are high absorbent the hot air of driver’s cabin and cooling down your cab while the truck is on the road, which helps to make sure the every driver in a comfortable climate with GC-04 Truck Cab Air Conditioner. 1. 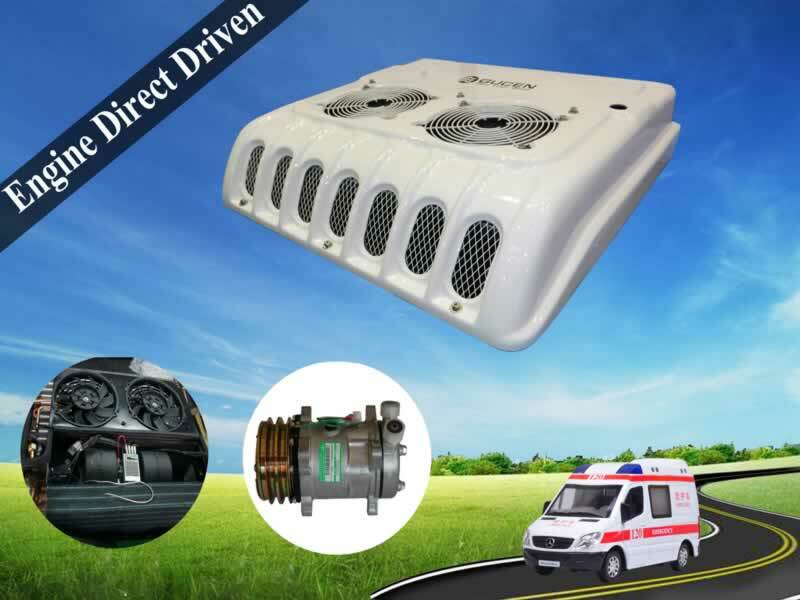 Essential characteristics of the robust design are the basic metal frame and the existing refrigerant circuit made of cooper tube and fin type heat exchanger. 2. The customer profits from an increased life span and reliability as well as from reduced maintenance expenditure. 3. Compressor drive operated by 24 V or 12V. 4. Independent parallel control system, ensuring reliability and durability, which the safety factor raised up to 3-5 times. 5. Copper tube and hydrophilic aluminum fins with internal ridge copper tube optimize the cooling performance. 6. FRP housing, is refer to new design technology of glass fiber reinforced plastics, good resistance to heat and aging, more Eco-friendly, and long service life. 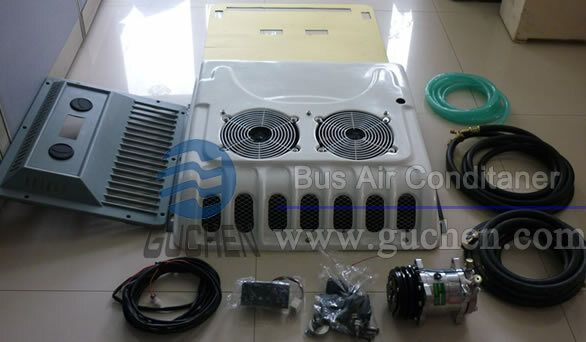 Every passenger deserves the best possible truck and vehicle cabins climate with Guchen GC-04 truck cabin air conditioning, as the truck air conditioner manufacture in China, our mission is manufacture and supply high quality Truck Cabin Air Conditioners, van air conditioner, minibus air conditioner, electrical truck air conditioner, truck air conditioning, and bus air conditioning. Welcome order and inquires the truck air conditioning price.